Following is a guest blog from Sigrira Perret-Gentil Savitski, animal intuitive, photographer, and lecturer in art. Animal Communication is a specialized form of mediumship, just as pediatrics is a specialized form of medicine. Although Kent and I can communicate with your animals, sometimes you want to work with a specialist regarding a specific issue. Following is some background on Sigrira and how she began communicating with animals. If you are looking for a specialist who can communicate with your animal companions, please include Sigrira in your research. Being an animal parent completely informs my work as an animal intuitive and it also influences my art work. I focused my MFA thesis in photography on my cat sons and my current art project is a body of work about interspecies parents. I’m starting by documenting my own family and plan to extend it to include many others. I don’t have human children but I am a mother. I adopted my cat children Merlin and Gracie Belle with my husband last November. I was already a mother before that, having cared for my first feline sons Juneau and Jarvis until old age and illness took them. I knew the heart shattering grief of losing them. I was still a mother after they passed. Now I am a new mother again, to kittens, about a year old. I see them as mine, just as precious as if I birthed them. I’m not trying to pretend they are human babies. I never wanted those. I only ever felt maternal instinct toward non-human animals. I am happy for those who do choose to have or adopt human babies and I also celebrate same-species parenthood. I am able to understand their joy because of the incomparable joy motherhood has brought me. I imagine that they must look into their children’s eyes as I do and see amazing beings with worlds of potential, gifts from the stars. That is what I see. 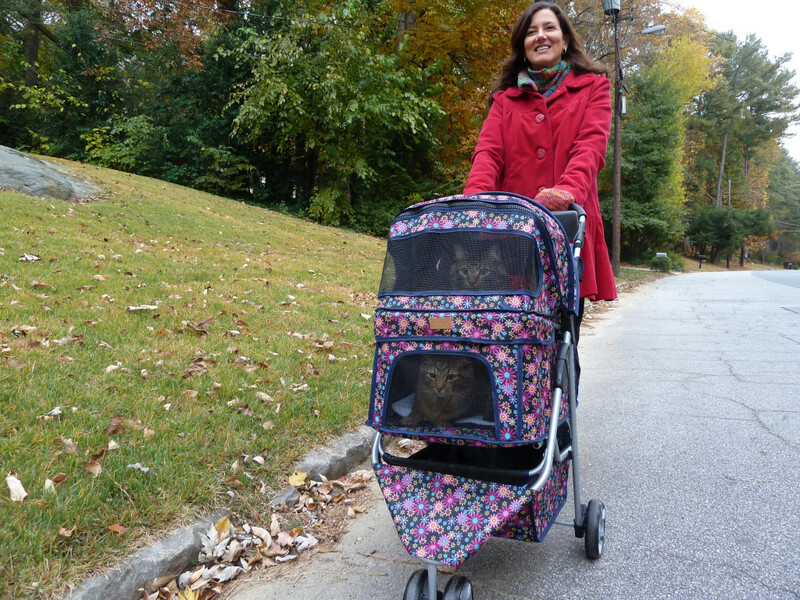 I feel gratitude every day that I’ve been graced with the honor of being a parent to my incredible cat children. In my role as an interspecies parent, I discovered that I am able to communicate with animals. One of my feline sons, Jarvis, had ongoing digestive issues so I took a Reiki class to try to help him. I didn’t know much about Reiki or whether it would work. He loved it. One requirement for the class was that I had to give myself Reiki for 21 days. For years prior to my Reiki treatment, I had suffered from allergies, after my Reiki self-treatment, my symptoms vanished. Prior to the Reiki, I took lots of medication for my allergies—both prescription and over the counter. After the Reiki, I was able to stop completely. I was amazed and decided to pursue Reiki level II and also the Reiki Mastership. My primary goal was to help animals. As I began giving Reiki treatments to animals, I noticed that the Reiki energy, which typically looks like white light if you can see it, was coming out already split into the different rainbow colors. I discovered this was because animals (unlike people) are able to choose which color they need for healing and simply accept that color. Animals are typically more aware of energy than humans are. I took my Reiki classes from a medium who told me that I had the ability to speak with animals. I was so excited, because this had always been my fondest dream, but I had no idea how to do it. I read several books, took a class, and practiced with Juneau and Jarvis. They were very willing to help, but I had no way to confirm whether or not I was translating the messages I received from my beloved animals accurately. It was all about trust. I had to learn to trust the messages and information I was receiving. This was the hardest part. By connecting with other people’s animal companions, I was able to receive feedback that allowed me to validate my ability to communicate with animals. This positive external validation helped me to accept and believe that it was truly real and my dream had come true. After Jarvis passed away from cancer in 2012, he told me that he wanted to help me with my animal communication. He and his brother Juneau—who is also in spirit—now help me with my animal communication sessions. I received a beautiful reading from Cindy recently and my young cat daughter, Gracie Belle, told Cindy in a strong voice that she also will be assisting, primarily by helping me maintain the energy here, while Juneau and Jarvis work on the other side. It was lovely that Gracie Belle came through so clearly in my reading from Cindy and afterwards she reinforced the messages and purred at me all afternoon. Having gone through the deaths of Juneau and Jarvis, I know first-hand how comforting it is to know that your animals are at peace on the other side in spirit. Honestly I don’t know how I would have gotten through the grieving process if I had not been able to receive messages from them. I am so happy to act as a facilitator to help others receive that same comfort. My intended role is not to replace proper veterinary care, but rather to provide guidance to the animal’s companion regarding any end of life planning. After an animal has been diagnosed with a terminal illness and the vet has recommended that he/she receive assistance in crossing over, it is still excruciating to decide when. I have been able to ask animals when they wish to receive assistance (and whether they want it.) Animals often have a sense of when they wish to cross over. One of my clients had a sweet pet rat who told me she wanted a few more days and that she would give her mom a sign when she was ready. She said she would lay her head on her paws and give her a prolonged look. Much to her mom’s surprise she did exactly that. I recently worked with a kitten that had a neck issue because of an ear infection that had gotten severe. During my session she asked me for extra Reiki healing, and I gladly complied with her request. I “felt” that something powerful happened and asked the kitten’s mom to please update me later. She emailed me to say that shortly after the session, she was falling asleep then awoke because she heard these light pop-pop-pop sounds coming from the kitten and her other cat was staring at the kitten as if she heard it too. It appears that her neck released some of the tightness and she is doing much better now. Energy healing is not always dramatic like that. Sometimes it takes longer, is all internal, or even emotional, but most animals benefit from receiving a Reiki treatment. I also love working with healthy animals to help make life a bit easier for them and their parents. Most animals don’t have a way to “talk” to their parents so they express themselves through their actions. Sometimes they are lonely or fearful and simply need reassurance. Often they ask for what they need—maybe simply being brushed more, a different diet, fresh air, exercise or even music to listen to. Just as each human is unique, so is every animal. Animals are amazing beings of pure unconditional love and I am honored to help them communicate with their humans. What a nice testimonial, Lynn. Thanks for posting!